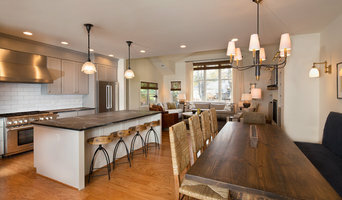 Alexandria Design-Build Specialists | 3x Best of Houzz Winner! 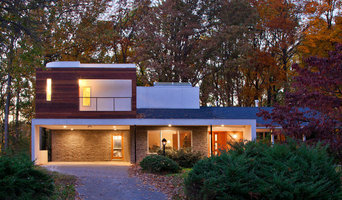 "Our Thoughtful Design Builds Fine Living" TriVistaUSA is a boutique design-and-build firm based in Arlington, Virginia. Owners and founders Michael and Deborah Sauri built the company as a team around one central mission: to provide high quality and creative designs with an aesthetic yet practical flair woven into their client’s lifestyle needs. Michael Sauri first gained experience in 1999 when remodeling his first investment house in Baltimore. An interested client sparked Michael’s creative and entrepreneurial spirit; soon Michael and Deborah founded TriVistaUSA, a family-run firm grounded in teamwork. The name itself is an anagram of their two last names, enmeshing the value of collaboration that is the basis of the company. Drawing from Michael’s background as a professional musician and Deborah’s experience in graphic design, the pair easily translated their creativity and artistry into elegant and inventive living spaces. Founded in 2005, the company was tested early on by the economic climate of 2008. TriVistaUSA faced a high stakes challenge—either to be a company people pursued, or to close up shop. Not only did Michael and his team stay afloat, they flourished, gaining attention and accolades, and 32 (and counting) related awards, including being voted Best Builder by the readers of Arlington Magazine in 2015. An award-winning design and build contractor, TriVista's custom build team works together on your residential or commercial space to deliver a project that meets your needs aligned with our promise to you: our thoughtful design builds fine living.